The result of this recipe is PERFECTION. This is seriously the chocolate chip cookie recipe of my dreams, every cookie dream I ever had. Seriously, I danced around my kitchen island like I was doing a rain dance! This is the most amazing paleo cookie recipe I will immediately give to my kids, future grandchildren and great grandchildren and of course YOU! 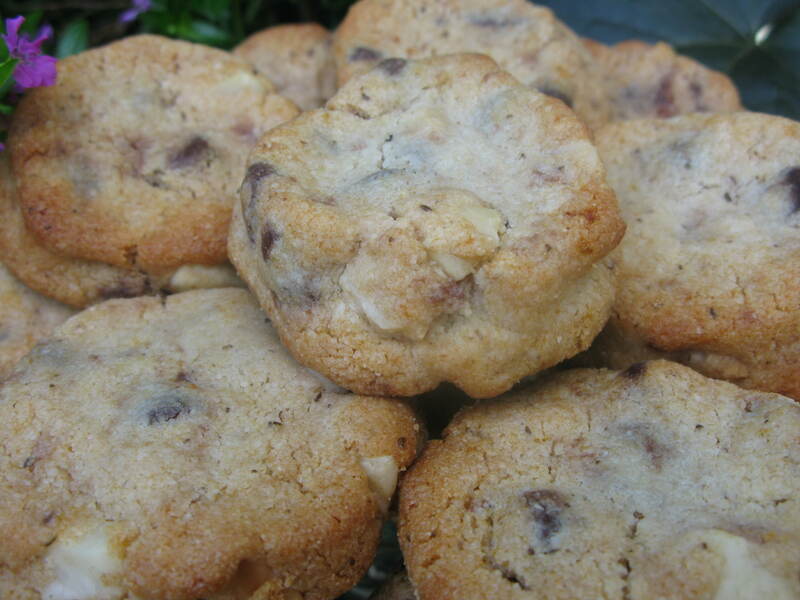 I was SO in the mood for a little break and to eat some chocolate chip cookies as I have been busy with my latest healthy related eBooks to help those with Paleo, Auto-Immune, Pharmacies, Hormones, etc. To adhere to my purpose of healthy, this recipe is ideal using dark chocolate. Dark chocolate is one heck of a superfood. Let’s keep the carbs lower and give our pancreas and blood sugar a “little” break. I really do recommend non-dairy and if possible buy sugar-free. I get some brands with stevia and erythritol, but that really is the least of your worries. Just get any good quality dark chocolate, ideally above 70%, to keep the sugar down. Remember the quality of your ingredients WILL determine your outcome. The chocolate is key in chocolate chip cookies – right?! I leave the option up to you to add nuts or not. I make a batch of nut-free as well as with nuts to give my hubby as much chocolate as I can fit into each cookie and he is in Heaven. I am still working on that sweet tooth of his. He’s really gotten much better, as he grew up in Chicago surrounded by those “terrific” Jewish delis and bakeries and even worked in a bakery. If you need tips on breaking that sugar craving just reach out to me through my Contact Page. Be sure and make extra dough if you are like me and like to save time. I make extra dough, roll it in long logs (think paper towel tube), wrap in parchment paper and freeze them, all ready to bake later any time I want one, two, three… 🙂 Just thaw a few minutes, slice a few pieces and pop in the oven per the instructions in my recipe box. I like to serve these after a great Paleo Chuck Roast for a truly classic meal. Yum! As you read through the recipe, you will see vanilla powder as one of the ingredients. I LOVE vanilla powder. It is made by grinding fresh vanilla beans at low temperatures, which produces a fine powder with incredible flavor. The vanilla powder will add more flavor to your baked goods or drinks than most ordinary vanilla extracts will. You may, of course, use vanilla extract instead and, if you can, use a good quality one that is alcohol free. I love the vanilla flavor of a good quality extract. I suggest you add a 1/4 teaspoon more if you use the extract. I also LOVE vanilla paste. Google those words as you may like to learn about that too! I altered the recipe from a terrific website, yet the site is not Paleo or Gluten free, DeliciouslyOrganic.net. 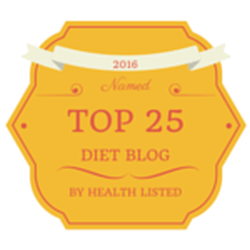 I can also recommend this website for recipes and she found her own way to handle her Hashimoto’s disease, migraines, IBS and eczema. Have fun with these cookies and don’t forget – make extra. 🙂 While you’re at it, be sure to visit my giveaway page too and try to win of my latest Omazing gifts. Enjoy! This is my own altered version of a chocolate chip cookies recipe from DeliciouslyOrganic.net to allow these cookies to suit my family’s needs. 6 ounces dark chocolate of your choice – 70% or above is best! Combine butter and honey and mix with a hand mixer. Add vanilla powder, egg and gelatin. Beat on low for 30 seconds. Let sit for exactly 5 minutes, no less, no more. Sift the almond flour, baking soda and salt in another bowl. Slowly add flour mixture to wet mixture with hand mixer on low. Add chocolate pieces by hand and fold in by hand (add optional nuts at this step). Form dough into 1½” shapes and place onto your parchment-lined baking pans. Remove from the oven and transfer to a cookie rack to let cookies cool fully. They’re great served warm too! yum. yum. yum. These look and sound delicious! What is vanilla powder? Can vanilla extract be used instead? Yes, you may use extract and if you can use alcohol free that is good. I suggest you add a ¼ teaspoon more. I love the vanilla flavor of a good quality extract. The powder will add more flavor to your baked goods or drinks than most ordinary vanilla extracts. The powder is made by grinding fresh vanilla beans at low temperatures and produces a fine powder with incredible flavor. I also LOVE vanilla paste – Google that words as you may like to learn about that too… 🙂 Hope this helps. Can I exclude the gelatin? What is the purpose of the gelatin? I would not recommend doing this recipe without the gelatin. The gelatin causes these cookies to bloom. You may try to exclude the gelatin but I am not sure how it would work. The cookies might not bloom. Also, can I use coconut oil instead of butter? Yes you can. The cookies may flatten out more so I would keep an eye on them in the oven but that should work fine. They are in the oven! I used ghee instead of butter. I just peeked in on them and they seem to be spreading…not blooming. Eh! Whether they bloom or spread, I’m still looking forward to them! The vanilla powder is delightfully aromatic!! Thanks! I just made these tonight and they are amazing!! 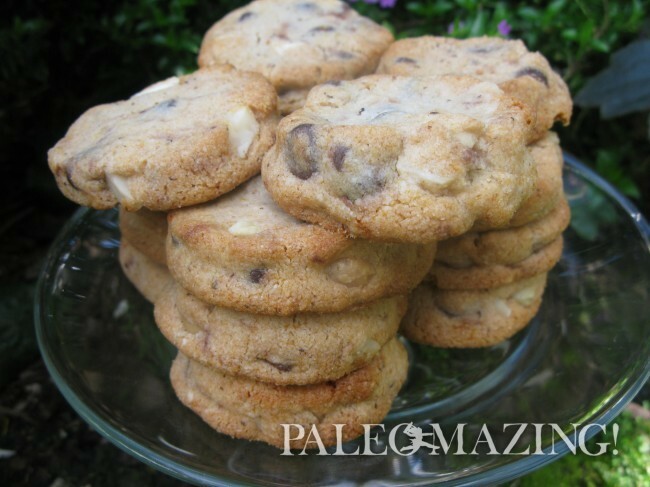 I have been Paleo for over four years and I have tried SO many recipes for Chocolate Cookies and really just didn’t taste like I wanted but yours are SO SO GOOD!!! I have now passed this recipe to my daughter and she is excited to make them too! Wow fantastic!!! I’m so glad you enjoyed them and I hope your daughter enjoys them as well!! Baking is so much fun and even better with family.